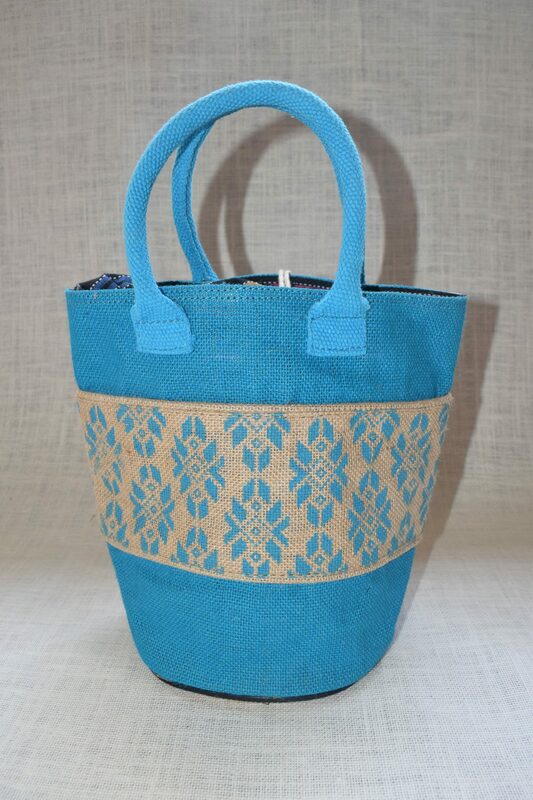 Jute Lunch Bag from the house of Saran Jute Bags. 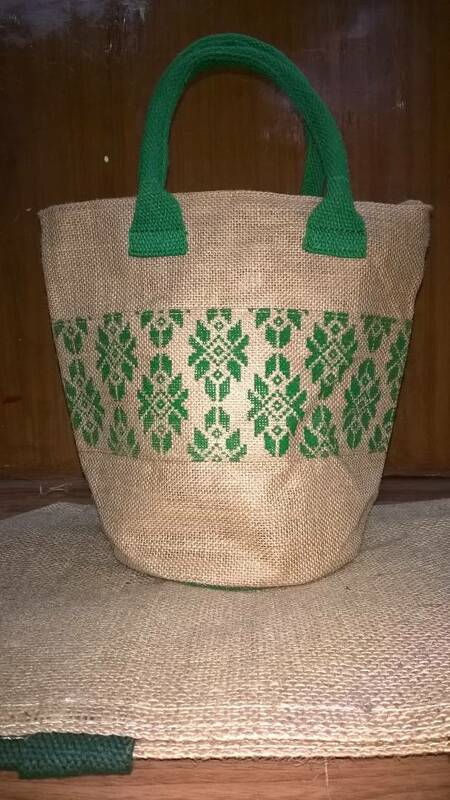 Casual use to be good for carrying over lunch for office,School. 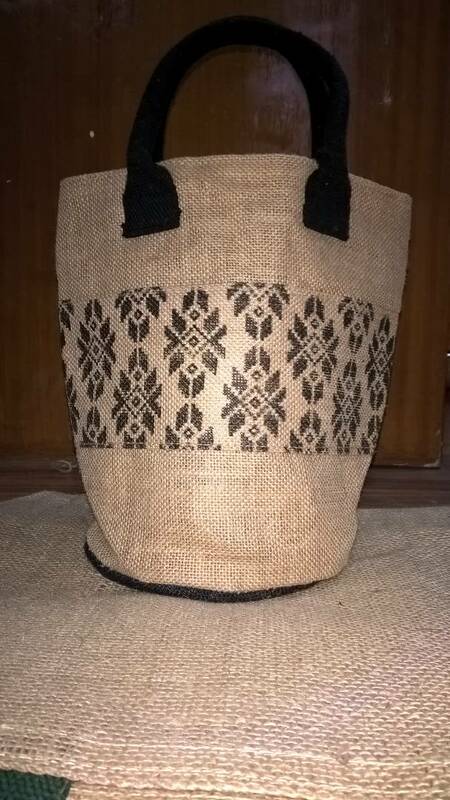 printed pattern in middle of bag,closure of bag is jute cloth like potli bags,handed with two carry handles. Print can be Customized according to your requirements.